If you haven't used WordPress before or even if you have any you know where you around, you will find great information coming up on creating a successful Website and building an online presence. You will learn about Posts, Pages, and Thousands of different Plugins, Widgets, and Themes available. A couple we highly recommend and use ourselves, as well as techniques used by Big Companies Online. Do you know that anyone can use WordPress, and some of the Biggest Companies and some of the Famous Celebrities use it as an effective and easy way to sell their products, share their work, their thoughts and broaden their market because WordPress is really easy! I promise. WordPress is a good source for creating a Wonderful Website without having a knowledge of complicated coding. In 2003, it is a basic blog engine but it is becoming a fully-featured & fully customized website creation tool used by many individuals, businesses or organizations around the world. 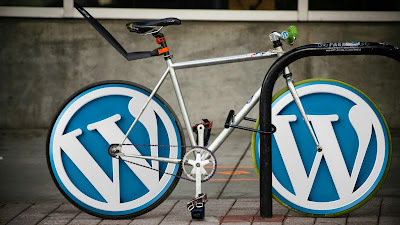 WordPress can be downloaded for Free at www.wordpress.org and install anywhere as a backbone for the entire Website. It is open source meaning that it's codes and files are Free to use; customize and enhance. All over the Web today WordPress powers extremely elaborate creative and co-operate websites, simple blogs, and everything in between. For business WordPress is an extremely versatile technology that helps their maintain content, engaging social media, perform well on search engines. What are the basics of WordPress? In this beginner guide to WordPress, I want you to introduce you to the basics of WordPress. What you need to know, in order to start building your own successful WordPress Website. So, let's discuss the two main things you need in order to have a WordPress Website. They are a Domain Name & Hosting. The domain name is your WordPress address is what people type in to visit your Website (For example- www.blogger.com). Hosting is just like renting a physical space which keeps all your data, images and everything to do your Website on. I remember when I first heard about WordPress, I was excited ar thought of being able to build my own website with absolutely no programming at all and it would cost me less. I also intermediated because it was something that I had never done but I quickly realized, it was actually easy and straightforward. So follow along with me and find out why you are in good company if you use WordPress to publish on the Web. Many Famous Blogs, News Outlets, Music Sites and Celebrities are using WordPress such as CNN, Katy Perry, The New York Times, Forbes, and etc.